4 September 2013: MAJECA is a recipient of the Japanese Foreign Minister’s award. 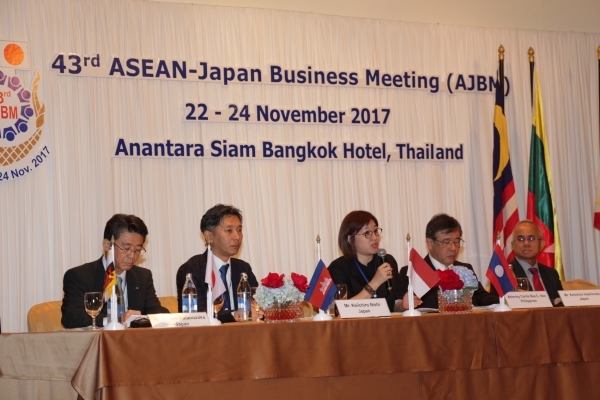 1.0 The 43rd ASEAN-Japan Business Meeting (AJBM) was held on 22nd to 24th November 2017 at the Anantara Siam Bangkok Hotel, Bangkok, Thailand. 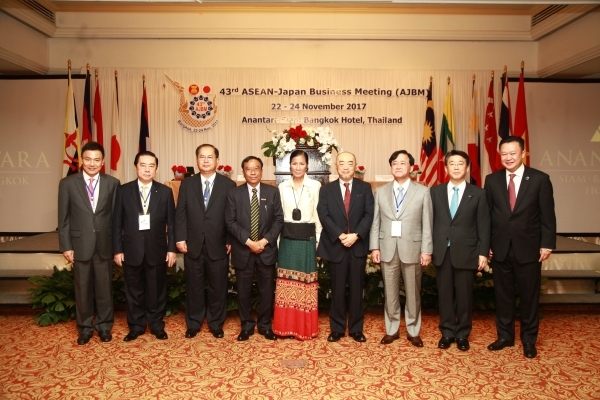 The theme for this meeting was “Deepening ASEAN-Japan Economic Partnership Through Promotion of Tourism and Related Industries”. 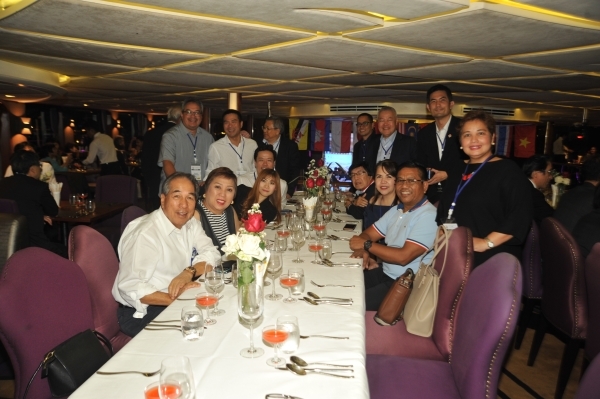 AJBM Malaysia was represented by YBhg Dato’ Che Mohd Annuar Che Mohd Senawi, Executive Chairman and Chief Executive Officer of Idaman Unggul Berhad and EXCO Member and Treasurer MAJECA. YBhg Dato’ moderated Plenary Session 2: Healthcare and Other Potential Opportunities of Tourism Strategy as well as Roundtable 2: Tourism + MICE + Other Industries and Rapporteur for the Wrap Up and Summary Session. 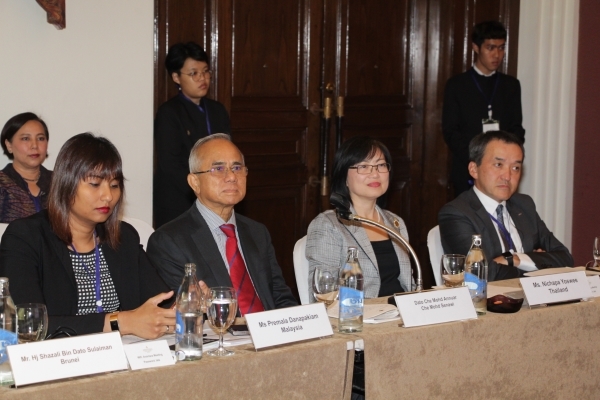 The other Panelist from Malaysia was Ms Premala Danapakiam, Senior Manager – Business Events of Malaysia Convention & Exhibition Bureau (MYCEB) at the Roundtable 2: Tourism + MICE + Other Industries. 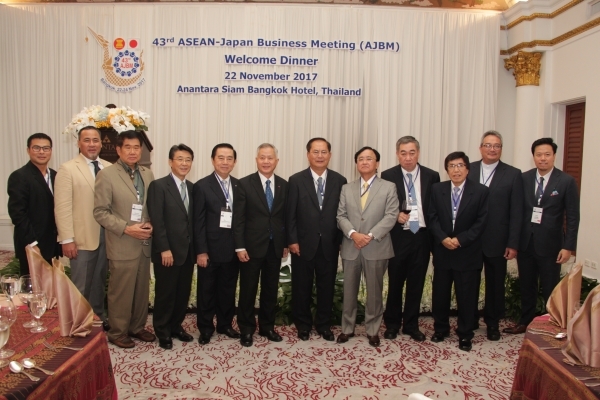 2.0 AJBM Thai hosted a Welcome Dinner on 22nd November 2017 to welcome all the Speakers, Panelists and participants to the meeting. 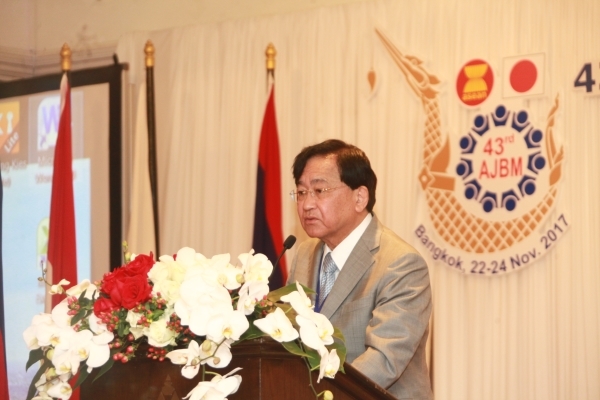 Chairman of the 43rd AJBM, Dr. Thanong Bidaya delivered the Welcome Remarks at the dinner. 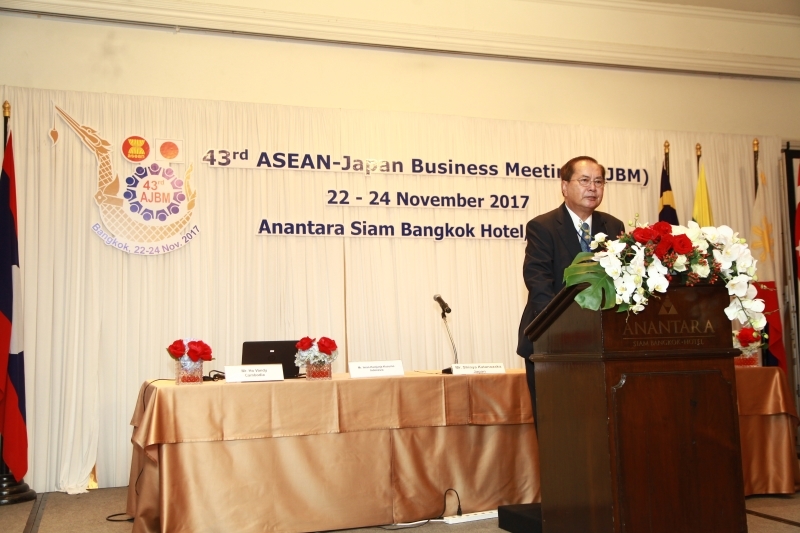 3.0 Dr. Thanong Bidaya, Chairman of the 43rd AJBM delivered the Opening Remarks and Message from Dr. Somkid Jatusripitak, Deputy Prime Minister Thailand at the Opening Ceremony of the 43rd ASEAN-Japan Business Meeting (AJBM) on 23rd November 2017. 4.0 Dr. Yoshimitsu Kobayashi, Chairman of Keizai Doyukai delivered the Welcome Remarks at the Opening Ceremony. 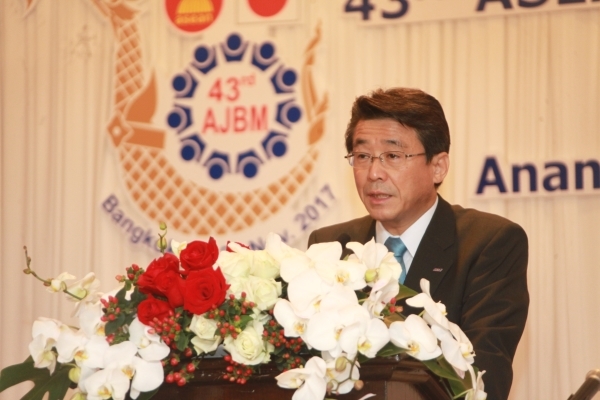 5.0 Special Remarks by Mr. Shinya Katanozaka, Co-Chairman of the 43rd AJBM. 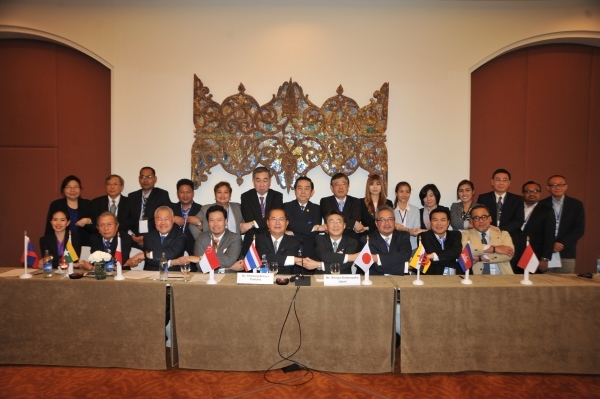 6.0 Speakers, Panelists and participants at the 43rd AJBM meeting. 7.0 H.E. 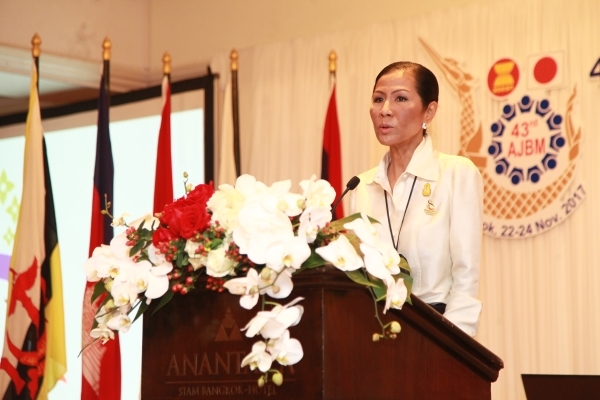 Ms Kobkarn Wattanavrangkul, Minister of Tourism and Sports delivered the Keynote Speech at the Plenary Session 1 on “Tourism as a Driver of Service Industry Promotion”. 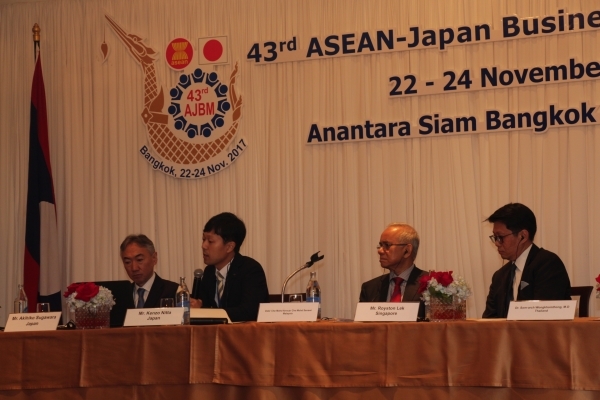 Mr Shinya Katanozaka, 43rd AJBM Co-Chairman moderated the Plenary Session 1. 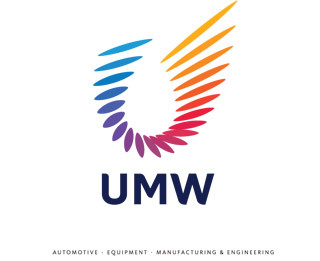 Industry/President, Otokoyama Honten, Co., Ltd.
Dato’ Che Mohd Anuar Che Mohd Senawi, Executive Chairman and Chief Executive Officer, Idaman Unggul Berhad moderated the Plenary Session 2. 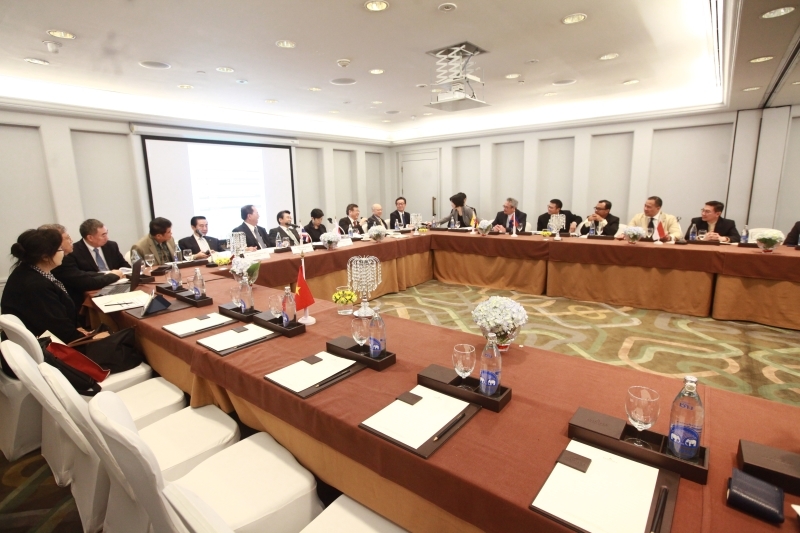 Mr Keiichiro Nishi, Managing Director, GLOBIS CORPORATION moderated this Roundtable 1 session. Dato Che Mohd Anuar Che Mohd Senawi, Executive Chairman and Chief Executive Officer, Idaman Unggul Berhad moderated this Roundtable 2 session. 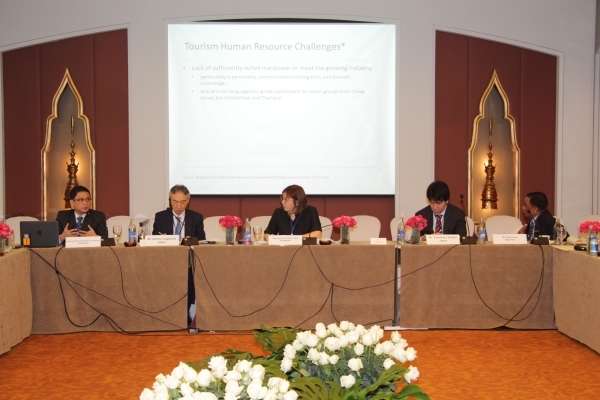 President, Otokoyama Honten, Co., Ltd.
– Mr Yoshikazu Tanaka, Founder, Chairman and CEO, Gree, Inc.
Attorney Carrie Bee C. Hao (PHILJEC) from Philippines moderated the Roundtable 3 session. 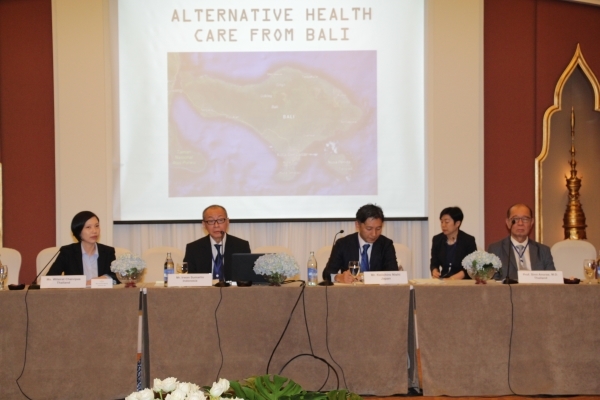 Mr Keiichiro Hashimoto (Japan), Executive Vice Chairman and COO, SHIOYATOCHI CO., Ltd moderated at this session. 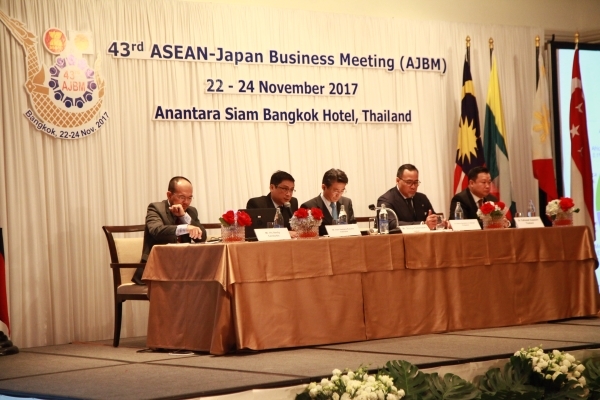 12.0 Dr. Thanong Bidaya, 43rd AJBM Chairman and Mr Shinya Katanozaka, 43rd Co-Chairman delivered the Closing Remarks at the Closing Ceremony. 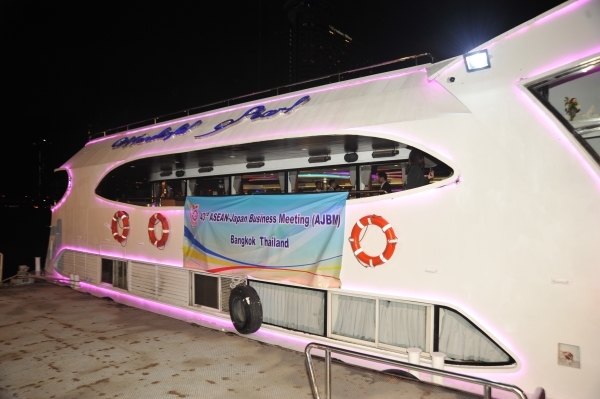 13.0 The Thai AJBM National (Committee) hosted the Closing Dinner on the Wonderful Pearl Cruise. 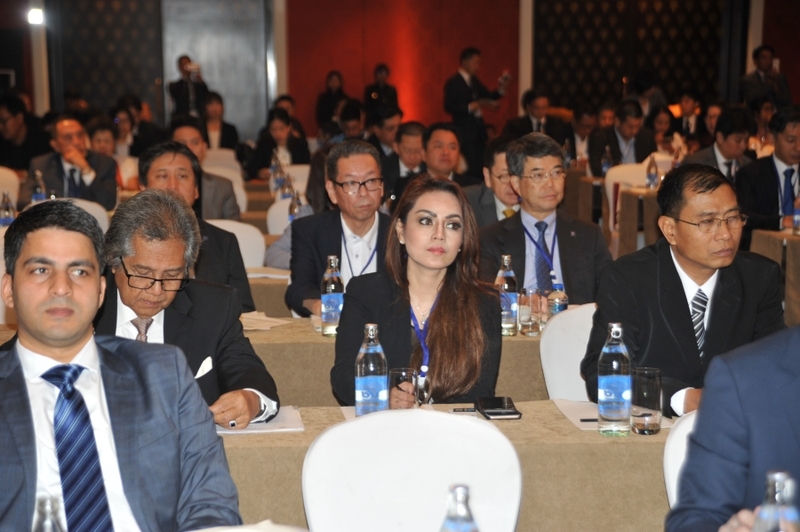 14.0 A JETRO International Symposium on Service Industry was held on 24th November 2017. 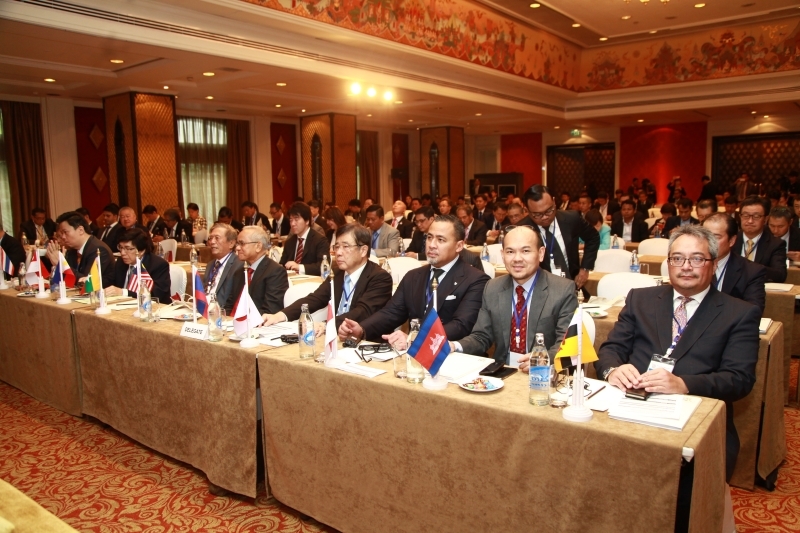 AJBM participants were invited to attend. 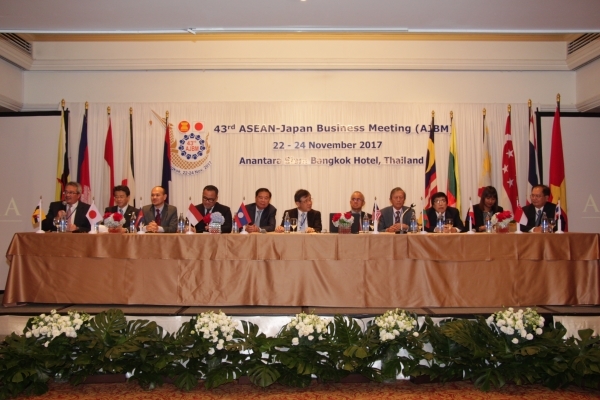 16.0 The next 44th ASEAN-Japan Business Meeting (AJBM) will be held in Indonesia.